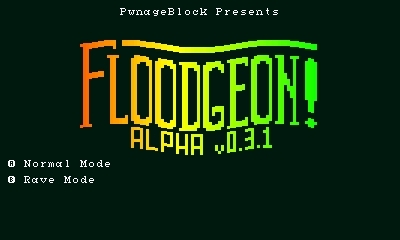 Floodgeon By: PwnBlck EEC4N39J Roguelike puzzle/RPG game to-be. Tiki Descent By: cujo1992 4DH5P4K3 Fast paced puzzle game with Evil Tiki theme. Save the Island from the Volcano! 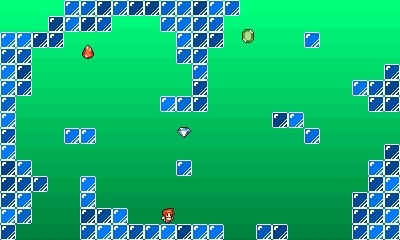 Console Snake By: snail_ R2DPXJD A simple Snake clone using console graphics. 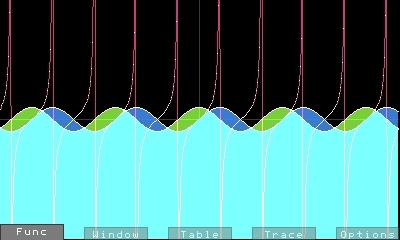 OSP 3D Pong (moved) By: Nathaniel (KJDQQ3A4) Possible entry for OSP Contest. 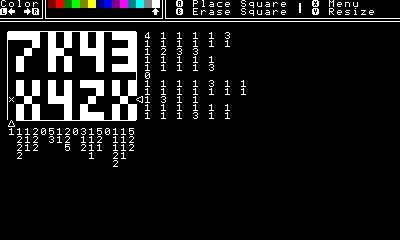 7*Ris -a Tetris like game- By: A47A47 B4ENF3R4 7*Ris is a Tetris like game and masterpiece of Tetris. AAdventureSB By: Cade5794 SE8X584E Adventure Atari 2600 for 3DS! 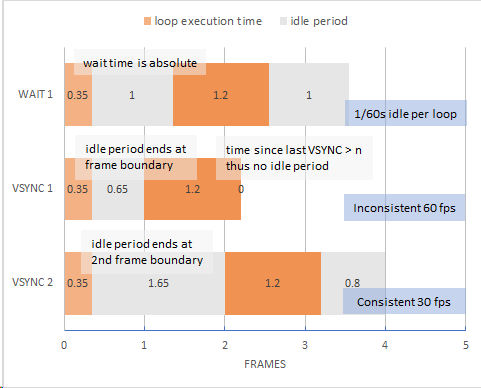 VSYNC vs. WAIT Battle Royale (2019) By: Yttria another competing misleading VSYNC resource. 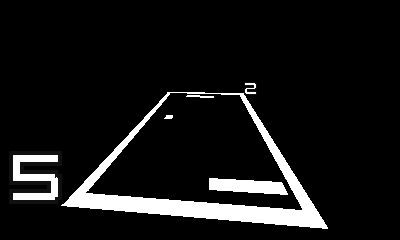 The Maze By: ProKuku JEEF3L4 A game full of stress and jump scares! Airplane Combat By: hanzo REVVY3RJ Shoot down the enemies!